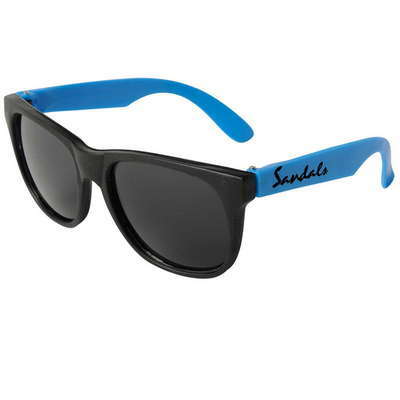 These customizable sunglasses feature a stylish and trendy design and a single logo imprint. 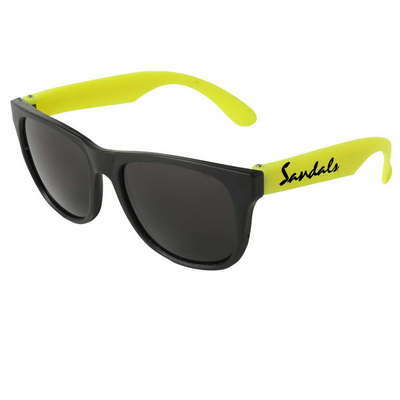 Lounge on the beach with your friends and family or by yourself using the Neon Sunglasses with Black Frame. 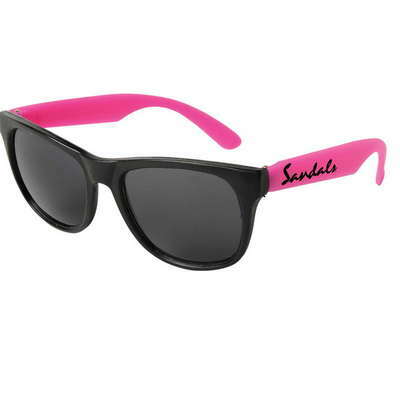 These sunglasses have dark lenses that protect your eyes from UV rays. They are available with black or several neon colored temples. 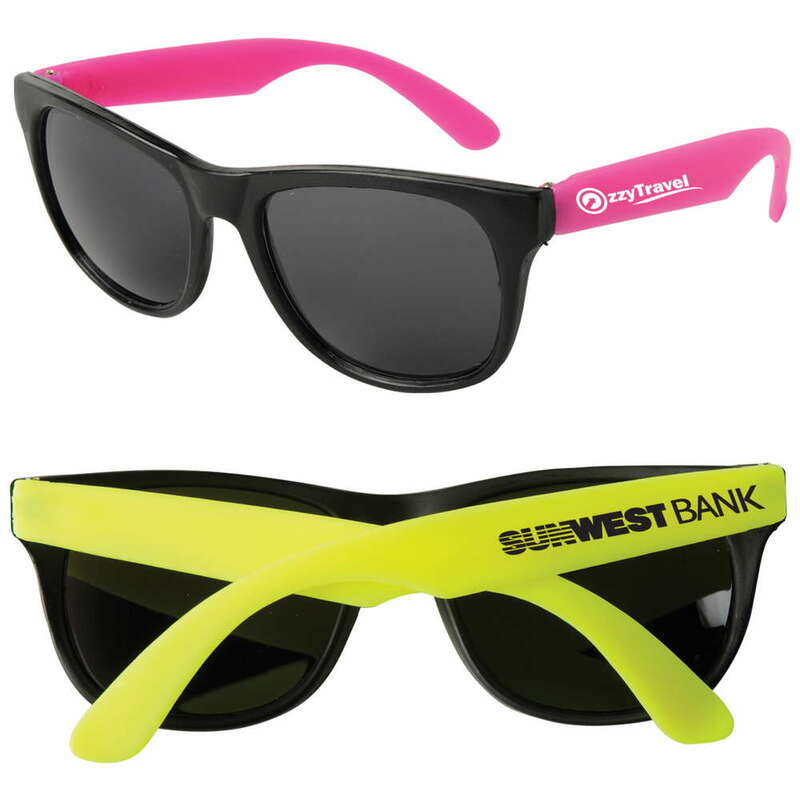 Pad print your brand’s logo on these fun sunglasses and ensure that there is a constant and pleasant reminder of your brand whenever they are used. 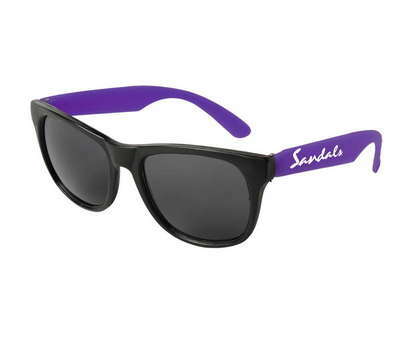 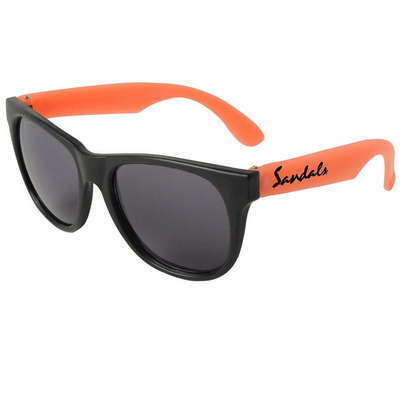 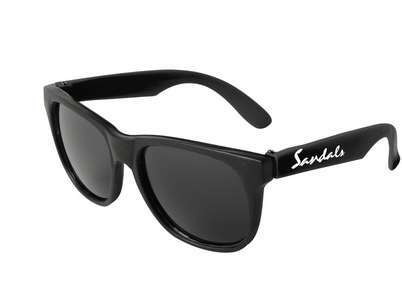 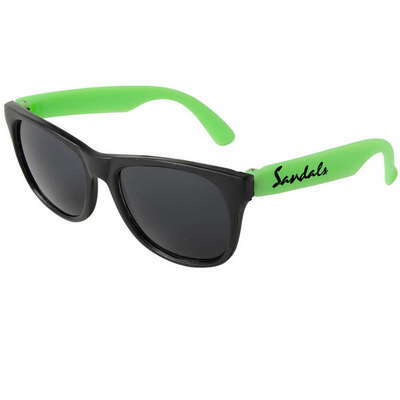 Give away the sunglasses at malls, beaches, resorts, and tourist locations, and make your brand shine in the sun.